When we're coming to town! 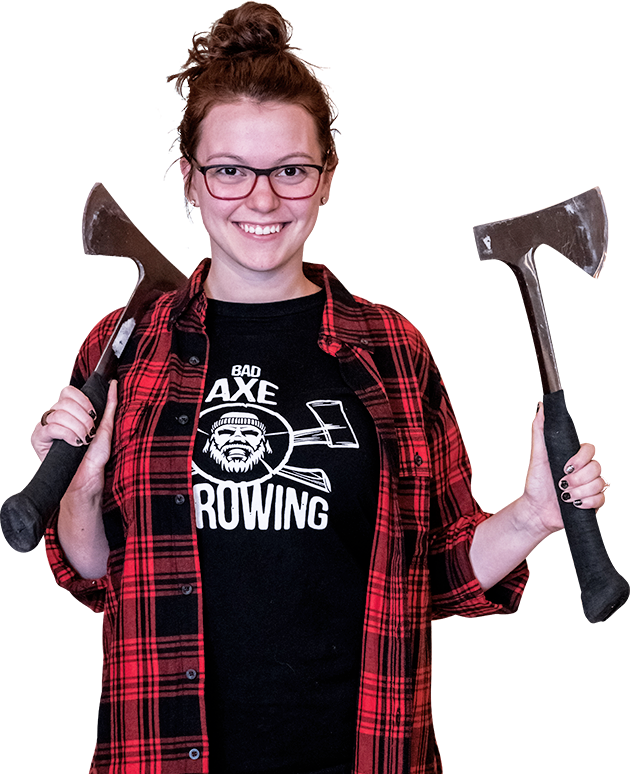 While you're waiting for our next update, check out our sweet axe throwing gear! Bad Axe Throwing is coming to Kansas City in 2019! This will be one of our largest locations to date at over 6000sq ft! Featured on the in USA Today, the BBC, and Buzzfeed, we’re the go-to destination for people looking for a great time. Our axe throwing coaches will teach you how to throw an axe while helping you improve your axe throwing technique and make you into an axe throwing pro in no time. It will be conveniently located in Downtown Kansas City! You bring your friends, we’ll supply the fun! Our birthday party's last, on average, 2 hours with one of our dedicated Bad Axe Throwing coaches. To book an event a minimum group size of 8 people is required from Sunday to Friday afternoon; then 12 people for Friday night and Saturday all day. Private events & bookings cost anywhere from $35 - 44.25 + tax per person.